Dr. MacSuga-Gage is a Clinical Assistant Professor of Special Education at the University of Florida and serves as the Special Education Program Area leader for the college’s department of Special Education, School Psychology, and Early Childhood Studies (SESPECS). She has a Ph.D. in Special Education from the University of Connecticut where she studied Positive Behavior Support (PBS), School-Wide Positive Behavior Interventions and Supports (SWPBIS), and Applied Behavioral Analysis (ABA). In addition to her doctoral studies at the University of Connecticut, she earned a graduate certificate in Positive Behavior Interventions and Supports (PBIS). Her specific research interests include identifying and supporting teachers in the implementation of Class-Wide Positive Behavior Support (CWPBS) practices through the application of Multi-Tiered Systems of Support (MTSS) to professional development and the implementation, sustainability, and scale-up of SWPBIS efforts. Other research interests include delivery of instruction, coaching, and mentoring via web-based formats (eSupervision) to support professional development for pre-service and in-service teachers and, supporting the needs of students at-risk for and identified with Emotional and Behavioral Disorders (EBD). 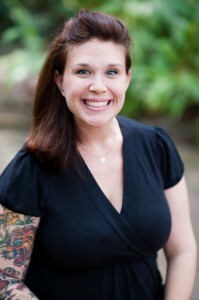 In addition to her work at the University of Florida, she is engaged with the University of South Florida’s Positive Behavioral Interventions and Supports (FLPBIS) Project (http://flpbs.fmhi.usf.edu). Aside from her continued work surrounding behavioral support for students, families and practitioners, Dr. MacSuga-Gage is currently working with Dr. James McLeskey and Dr. Penny Cox on Project Restructuring and Improving Teacher Education (RITE). This project focuses on leveraging and infusing technology throughout the graduate pre-service teaching experience of future special educators at the University of Florida. Dr. MacSuga-Gage has experience working with local schools and statewide initiatives (in Florida, Connecticut, Massachusetts, and Vermont) to provide training and technical assistance surrounding PBIS, SWPBIS, classroom management, the application of data-based decision making to practice, and behavior management. Previously, she worked as a graduate assistant for the Center for Behavioral Education and Research (CBER) under the direction of Dr. George Sugai. Through grant funded projects at the University of South Florida she serves as the primary PBIS contact for four counties in north central Florida including Marion, Alachua, Levy, and Gilchrist. Dr. MacSuga-Gage’s work on the FLPBIS Project allows Her to provide training, technical assistance, and ongoing supports to build district capacity to implement, sustain, and grow MTSS related to behavior and academics. Since moving to Florida she has joined the Florida Association for Positive Behavior Support (FLAPBS) network and is working to form local connections for providing technical assistance. Further, she is a certified SWIS facilitator (including CICO and ISIS-SWIS) and currently serves as a consultant for the Association for Positive Behavior Support (APBS) focusing on network development. Dr. MacSuga-Gage is the co-chair of the Council for Exceptional Children’s (CEC) Council for Children with Behavioral Disorder’s (CCBD) Professional Development Committee (PDC) responsible for planning and executing their bi-annual international conference and serves as an alternate representative of the University of Florida’s College of Education’s Faculty Policy Council (FPC). Dr. MacSuga-Gage is a regular guest reviewer for multiple peer-reviewed publications including Beyond Behavior, Behavioral Disorders, Remedial and Special Education, Education and Treatment of Children, and more. She continues to retain a valid Connecticut State teaching certification in K-12 Special Education and worked as a special education teacher in several urban settings including New York City and Hartford Connecticut. Dr. MacSuga-Gage is the author of several journal articles, a book chapter, and is an active presenter at both local and national/international conferences focusing on supporting the behavioral needs of adults and children. Specializing in Positive Behavior Support, Professional Development, and Measurement/Research Design. Schmidt, M., MacSuga-Gage, A., Gage, N., Cox., P., & McLeskey, J., (2015). Bringing the field to the supervisor: Innovation in distance supervision for field-based experiences using mobile technologies. Rural Special Education Quarterly, 34(1). 37-43. MacSuga-Gage, A.S., & Gage, N.A. (2015) Student-level effects of increased teacher-directed opportunities to respond. Journal of Behavioral Education. Advance online publication. doi: 10.1007/s10864-015-9223-2. MacSuga-Gage, A. S., McNiff, M., Schmidt, M., Gage, N. A. & Schmidt, C. (in press). Is there an app for that? A model to help school-based professionals identify, implement, and evaluate technology for problem behaviors. Beyond Behavior. Gage, N.A., Wilson, J., & MacSuga-Gage, A.S. (2015). Writing performance of students with behavioral disabilities. Behavioral Disorders. Gage, N. A., & MacSuga-Gage, A.S. (2015). Students with limited English proficiency and emotional and/or behavioral disorders: Prevalence, characteristics, and future directions. Beyond Behavior. MacSuga-Gage, A. S., & Simonsen, B. (in press). Examining the effects of teacher-directed opportunities to respond on student outcomes: A systematic review of the literature. Education and Treatment of Children. Freeman, J., Simonsen, B., Briere, D. E., & MacSuga-Gage, A. S. (2014). Teacher training in classroom management: A review of state accreditation policy and teacher preparation programs. Teacher Education & Special Education. 37, 106-120. Simonsen, B., MacSuga-Gage, A. S., Briere, D. E., Freeman, J., Myers, D., Scott, T., & Sugai, G. (2014). Multi-Tiered Support Framework for Teachers’ Classroom Management Practices: Overview and Case Study of Building the Triangle for Teachers. Journal of Positive Behavior Interventions, 16(3), 179-190. doi: 10.1177/1098300713484062. Haydon, T., MacSuga-Gage, A. S., Simonsen, B., & Hawkins, R. (2012). Opportunities to respond: A key component of effective instruction. Beyond Behavior, 22, 23-31. MacSuga-Gage, A. S., Simonsen, B., & Briere, D. E. (2012). Effective teaching practices that promote a positive classroom environment. Beyond Behavior, 22, 14-22. MacSuga, A. S., & Simonsen, B. (2011). Increasing teachers’ use of evidence-based classroom management strategies through consultation: Overview and case studies. Beyond Behavior, 20(1), 4-12. Jolivette, K., MacSuga-Gage, A.S., & Evanovich, L. (in review). Students with emotional and behavioral disorders. Y. Bui & E. Meyen (Eds. ), Exceptional children in today’s schools: What teachers need to know (4th ed.). Love Publishing Company. MacSuga-Gage, A. S. (2013). Engaging students through opportunities to respond. In Classroom Management: An A to Z Guide. To be retrieved from SAGE Publications online. MacSuga-Gage, A. S. (2013). Application of positive behavioral interventions and supports to school-wide and classroom settings. In Classroom Management: An A to Z Guide. To be retrieved from SAGE Publications online.